That’s the spanish word for papaya. Pronounced “Le-cho-za.” Short e, short 0 sounds. I’d never had a lechoza/papaya until I lived in the Dominican Republic. And there, I had the three trees growing in my front yard. I’ll tell you what…there’s nothing better than eating fruit that you watched grow and get to pick at the peak ripeness. But even still, you can get a good papaya in the parts of the world where they are not grown. So that’s what a papaya looks like on the inside (above). Little tiny, black and slimy seeds. 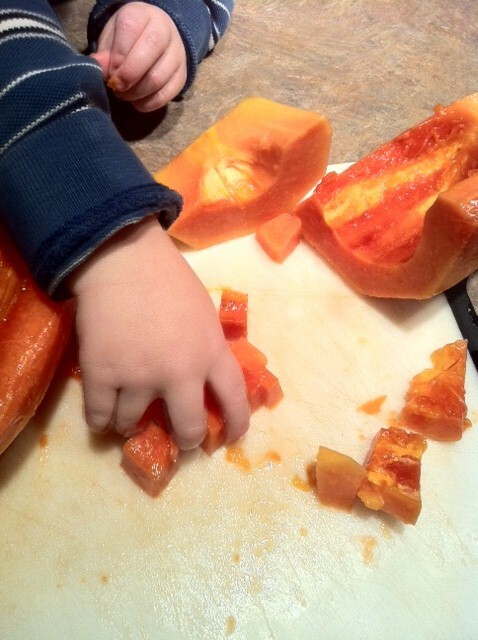 How do cut a papaya? Just as with any other melon, you scoop out the seeds along with the white-ish membranes that hold the seeds to the fruit. Then you remove the skin, slice and dice the flesh into bite size pieces…then eat as is or toss into a fruit salad or smoothie! How to you know a papaya is ripe and that you should purchase it? It has a sweet smell coming from the stem end, similar to a ripe cantaloupe. 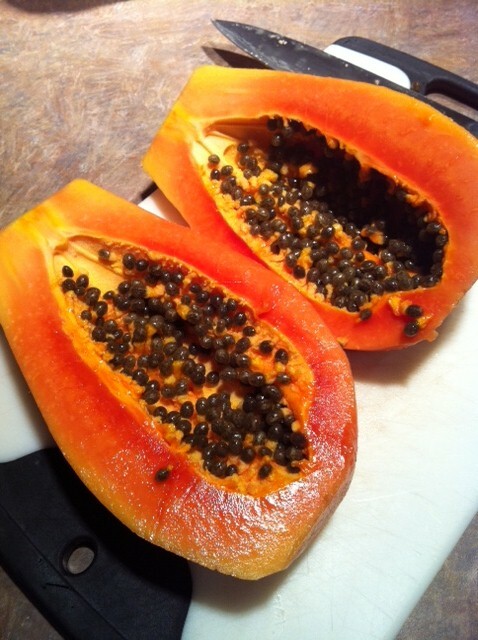 When you slice open the papaya, the deeper orange/red the flesh, the sweeter it will be. This was Tyler’s first time trying papaya…and he couldn’t get enough! I think had it not been so ripe and sweet, he wouldn’t have enjoyed it so much. What do you do if you think it’s ripe, then you open it and it’s not ripe at all? That’s the Dominican word for smoothie. 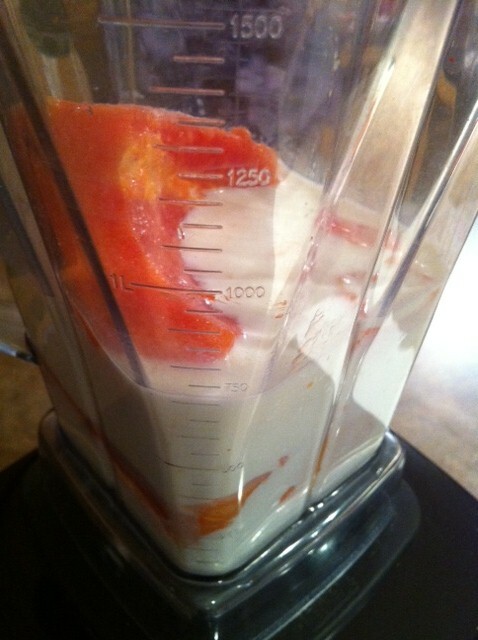 You can learn more about the health benefits of papaya. Have you tried papaya before? Did you like it? Was it ripe enough to be sweet? Oh, how I miss those days! I think the strangest papaya dishes we ever had were papaya pie (probably my attempt for an alternative to peach pie), and some salsa or similar dish containing papaya seeds that a Dominican woman made for us when we were on a house trip our last year there. I wish I could remember what was in it!